Age criteria: The minimum age of the candidates as on December 1, 2016 should be 21 year while the maximum age should be 30 years. 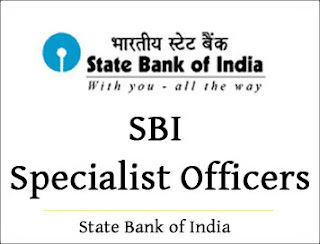 The age relaxation limit for the SC/ST category is five years, three years for OBC category, 10 years for PwD (General) category, 15 years for PwD (SC/ST) category and 13 years for PwD (OBC) category. Other age relaxation rules are as applicable. 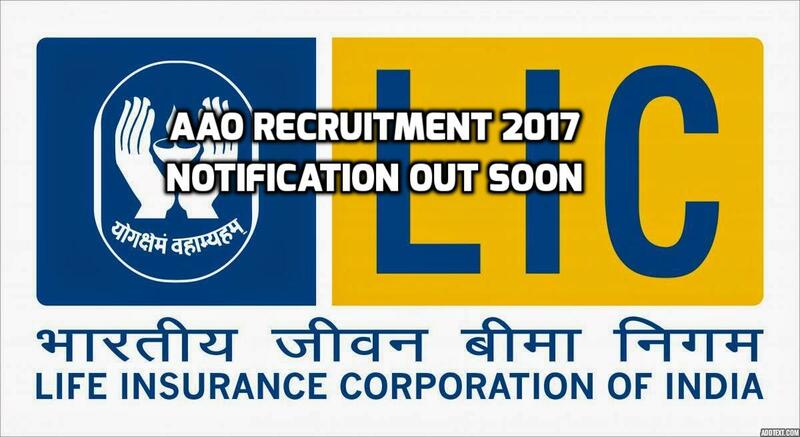 The Online examination for the above recruitment, scheduled tentatively on 25-11-2016 (Friday) which was postponed to 22-01-2017 (Sunday).It is further rescheduled and will be conducted on 20.01.2017 (Friday) due to UGC NET Exam. 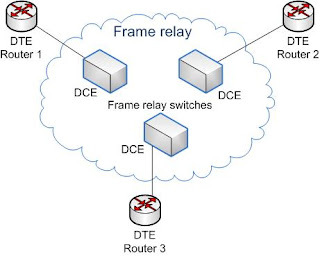 Frame Relay is one of the most popular WAN service deployed over the past decade. Even though several advanced technologies (such as VPN, ATM) are available today, Frame Relay still rocks and will be in near future due to its features, benefits and lower cost in comparison with other point to point wan services. Network providers commonly implement Frame Relay for voice (VoFR) and data as an encapsulation technique used between local area networks (LANs) over a wide area network (WAN). Each end-user gets a private line (or leased line) to a Frame Relay node. The Frame Relay network handles the transmission over a frequently changing path transparent to all end-user extensively used WAN protocols. It is less expensive than leased lines and that is one reason for its popularity. 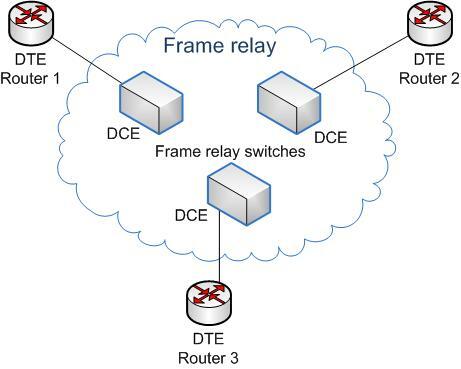 The extreme simplicity of configuring user equipment in a Frame Relay network offers another reason for Frame Relay's popularity. 1)Cryptography :The art or science encompassing the principles and methods of transforming an intelligible message into one that is unintelligible, and then retransforming that message back to its original form. 2)Key :Some critical information used by the cipher, known only to the sender& receiver. 3)Plaintext :The original intelligible message. 4)Cipher text :The transformed message. 5)Cipher :An algorithm for transforming an intelligible message into one that is unintelligible by transposition and/or substitution methods. 6)Encipher (encode) :The process of converting plaintext to cipher text using a cipher and a key. 7)Decipher (decode) :The process of converting cipher text back into plaintext using a cipher and a key. 8)Code :An algorithm for transforming an intelligible message into an unintelligible one using a code-book. 9)Cryptanalysis :The study of principles and methods of transforming an unintelligible message back into an intelligible message without knowledge of the key. Also called code breaking. 10)Cryptology :Both cryptography and cryptanalysis. 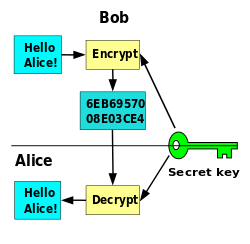 11)Symmetric-key cryptography refers to encryption methods in which both the sender and receiver share the same key (or, less commonly, in which their keys are different, but related in an easily computable way). This was the only kind of encryption publicly known until June 1976. The Data Encryption Standard (DES) and the Advanced Encryption Standard (AES) are block cipher designs that have been designated cryptography standards by the US government (though DES's designation was finally withdrawn after the AES was adopted).Despite its deprecation as an official standard, DES (especially its still-approved and much more secure triple-DESvariant) remains quite popular; it is used across a wide range of applications, from ATM encryption to e-mail privacy and secure remote access. Many other block ciphers have been designed and released, with considerable variation in quality. Many have been thoroughly broken, such as FEAL. Symmetric key ciphers are implemented as either block ciphers or stream ciphers. A block cipher enciphers input in blocks of plaintext as opposed to individual characters, the input form used by a stream cipher. 1)DTE is the end user management machine, generally refers to terminals and computers eg: email terminal, workstation, ATM, sales terminal in a department store.DCE is used to connect the communication channel. Modem is DCE device. It interacts with DTE and provides an interface of DTE to communication network transmit and receives bit one at a time over the communication channel. Modem, Switch,hub,Repeaters etc all are DCE devices.DCE devices provide the clock signal (internal clocking) and the DTE device synchronizes on the provided clock (external clocking). 2)A microcontroller (or MCU, short for microcontroller unit) is a small computer(SoC) on a single integrated circuit containing a processor core,memory,and programmable input/output peripherals. Communication Handler(or COMH) is basically an 80C186 16 bit micro controller based card working at a clock speed of 6Mhz. 3) Class A: 1.0.0.1 to 126.255.255.254 Supports 16 million hosts on each of 127 networks. Class B: 128.1.0.1 to 191.255.255.254 Supports 65,000 hosts on each of 16,000 networks. Class C: 192.0.1.1 to 223.255.254.254 Supports 254 hosts on each of 2 million networks. Class D: 224.0.0.0 to 239.255.255.255 Reserved for multicast groups. Class E: 240.0.0.0 to 254.255.255.254 Reserved for future use, or Research and Development Purposes. 4) A gateway is a network node connecting two networks that use different protocols.Gateways can take several forms -- including routers or computers -- and can perform a variety of tasks. These range from simply passing traffic on to the next hop on its path to offering complex traffic filtering, proxies or protocol translations at various network layers. The most common gateway is the internet gateway, which connects a home or enterprise network to the internet. An internet gateway also often acts as a security node, variously filling one or more security roles, such as proxy server, firewall or network address translation (NAT) server. Software-defined WAN (SD-WAN) and virtual WAN systems serve as gateways between an enterprise network and two or more wide area networks (WANs). 5)White-box testing (also known as clear box testing, glass box testing, transparent box testing, and structural testing) is a method of testing software that tests internal structures or workings of an application, as opposed to its functionality (i.e. black-box testing). In white-box testing an internal perspective of the system, as well as programming skills, are used to design test cases.White-box testing can be applied at the unit, integration and system levels of the software testing process. 6)IPSec is a suite of protocols that provide security services at IP layer of TCP/IP stack i.e. Network Layer in OSI model. AH provides authentication, integrity and anti-replay services at Network Layer and above. ESP provides authentication, integrity, anti-replay and confidentiality services at Transport Layer and above. Hence, we can say, IPSec(AH+ESP) operates at Network Layer and provide security services at Network and above layers. 7)A wildcard character can be used to substitute for any other character(s) in a string.In SQL, wildcard characters are used with the SQL LIKE operator.SQL wildcards are used to search for data within a table. 8)A loopback address is a type of IP address that is used to test the communication or transportation medium on a local network card and/or for testing network applications. Data packets sent on a loopback address are re-routed back to the orginating node without any alteration or modification.In IPv4, 127.0.0.1 is the most commonly used loopback address, however, this can range be extended to 127.255.255.255. 9)Data warehousing is the process of constructing and using a data warehouse. A data warehouse is constructed by integrating data from multiple heterogeneous sources that support analytical reporting, structured and/or ad hoc queries, and decision making. Data warehousing involves data cleaning, data integration, and data consolidations. 10)Queue is also an abstract data type or a linear data structure, in which the first element is inserted from one end called REAR(also called tail), and the deletion of exisiting element takes place from the other end called as FRONT(also called head). This makes queue as FIFO data structure, which means that element inserted first will also be removed first. Redo:In the Oracle RDBMS environment, redo logs comprise files in a proprietary format which log a history of all changes made to the database. Each redo log file consists of redo records. A redo record, also called a redo entry, holds a group of change vectors, each of which describes or represents a change made to a single block in the database. For example, if a user UPDATEs a salary-value in a table containing employee-related data, the DBMS generates a redo record containing change-vectors that describe changes to the data segment block for the table. And if the user then COMMIT the update, Oracle generates another redo record and assigns the change a "system change number" (SCN). LGWR writes to redo log files in a circular fashion. When the current redo log file fills, LGWR begins writing to the next available redo log file. When the last available redo log file is filled, LGWR returns to the first redo log file and writes to it, starting the cycle again. The numbers next to each line indicate the sequence in which LGWR writes to each redo log file. Oracle Database uses only one redo log files at a time to store redo records written from the redo log buffer. The redo log file that LGWR is actively writing to is called the current redo log file.Redo log files that are required for instance recovery are called active redo log files. Redo log files that are no longer required for instance recovery are called inactive redo log files. A log switch is the point at which the database stops writing to one redo log file and begins writing to another. Normally, a log switch occurs when the current redo log file is completely filled and writing must continue to the next redo log file. However, you can configure log switches to occur at regular intervals, regardless of whether the current redo log file is completely filled. You can also force log switches manually. Oracle Database assigns each redo log file a new log sequence number every time a log switch occurs and LGWR begins writing to it. When the database archives redo log files, the archived log retains its log sequence number. A redo log file that is cycled back for use is given the next available log sequence number. UNDO: Oracle Database creates and manages information that is used to roll back, or undo, changes to the database. Such information consists of records of the actions of transactions, primarily before they are committed. These records are collectively referred to as undo. Oracle 9i is an Object/Relational Database Management System specifically designed for e-commerce. Oracle 9i, a version of Oracle database. The letter “i” refers to the internet. It can scale ten thousands of concurrent users. 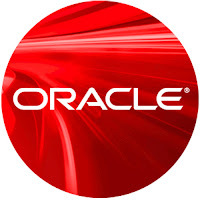 It includes Oracle 9i Application server and Oracle 9i Database that provide a comprehensive high-performance infrastructure for Internet Applications. It supports client-server and web based applications. 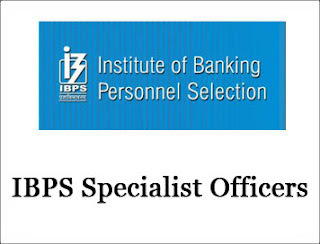 It offers Data warehousing features and also many management features. We can set primary key on table up to 16 columns of table in oracle 9i as well as in Oracle 10g. The maximum number of data files in Oracle 9i and Oracle 10g Database is 65,536. An essential task of a relational database is data storage. This section briefly describes the physical and logical storage structures used by Oracle Database. Every Oracle Database has an online redo log, which is a set of two or more online redo log files. An online redo log is made up of redo entries (also called redo records), which record all changes made to data. A database is divided into logical storage units called tablespaces. A tablespace is the logical container for a segment. Each tablespace contains at least one data file. The massive pollution cloud enveloping northern India every year is a good example of the disconnect between official policy and ground realities. It has been known for long that burning of agricultural waste in the northern States significantly contributes to the poor air quality in large parts of the Indo-Gangetic Basin, with local and cascading(प्रपात की तरह गिरता हुआ) impacts felt from Punjab all the way to West Bengal. Harmful fine particulate matter measuring 2.5 mm in diameter (PM2.5) is among the pollutants released. Punjab responded to the issue with a prohibition(रोक) on the burning of paddy straw(भूसा), and the launch of initiatives aimed at better utilisation of biomass, including as a fuel to produce power. Yet, there is no mission mode approach to the annual crisis. The efforts do not match the scale of agricultural residues(अवशेष) produced, for one, and fail to address farmers’ anxiety(चिंता) to remove the surplus from the fields quickly to make way for the next crop. The national production of crop waste is of the order of 500 million tonnes a year, with Uttar Pradesh, Punjab and West Bengal topping the list. Again, 80 per cent of straw from paddy is burnt in some States, impacting air quality and depriving croplands of nutrients. 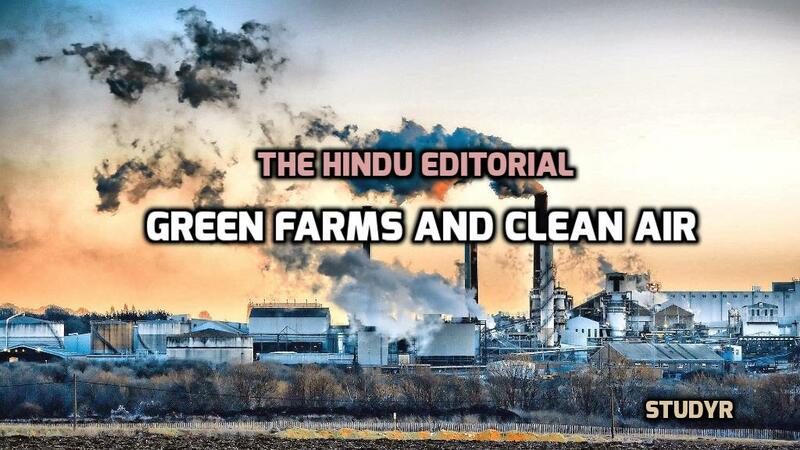 It is an irony that the national capital and several other cities suffer crippling(गंभीर) pollution in the post-monsoon and winter months partly due to biomass burning, when demand for fodder is rising and the surplus material could be used productively. Pilot projects to produce power using biomass demonstrated in Rajasthan, and mechanised composting and biogas production units of the Indian Agricultural Research Institute could be scaled up, and farmers given liberal support to deploy such solutions. Given the twin benefits of pollution abatement(कमी) and better productivity, conservation agriculture needs to be popularised. This would encourage farmers to use newer low-till seeding technologies that allow much of the crop residues to remain on site, and curb the release of a variety of pollutants. Burning residues add greenhouse gases that cause global warming, besides pollutants such as carbon monoxide, ammonia, nitrous oxide and sulphur dioxide that severely affect human health. Sustained(निरंतर) work is called for, given that higher agricultural productivity to meet food needs is inevitable(अनिवार्य), with a cascading increase in biomass volumes. The challenge is to identify measures to utilise it. By one estimate, if India can reach its own air quality standards for fine particulate matter from all sources, annual premature(समय से पूर्व होनेवाला) deaths can be cut by almost 10 per cent. A programme to cut pollution from waste-burning would be a good start. 1)Cascading meaning is fall in a rush, descend, gush. 2)Prohibition meaning is ban, forbidden, constraint, prevention. 3)Straw meaning is hay, fodder. 4)Anxiety meaning is angst, worry, tension, apprehension. 5)Residues meaning is leftover part, debris, slag. 6)Crippling meaning is disable, make lame, debilitate. 7)Abatement meaning is decline, decrease, lessening. 8)Sustained meaning is maintained, constant, continued. 9)Inevitable meaning is cannot be avoided, certain, impending,imminent. 10)Premature meaning is earlier in occurrence than anticipated, immature.